To address these questions, the Stigler Center at the University of Chicago Booth School of Business, Harvard Business School, and Oxford University will organize a conference in Chicago on March 3–4, 2017. The following interview with Harvard professor Daniel Carpenter is part of an interview series ahead of the conference with influential scholars who are addressing these issues in their work. You can view all installments here. 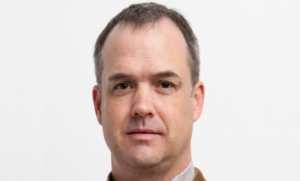 Daniel Carpenter is the Allie S. Freed Professor of Government in the Faculty of Arts and Sciences, and Director of Social Sciences at the Radcliffe Institute for Advanced Study at Harvard University. He is known for his innovative research on regulatory capture, as well as for research that combines theoretical, historical, statistical, and mathematical analyses to examine the development of political institutions, particularly in the United States, focusing on public bureaucracies and government regulation—particularly the regulation of health and financial products. 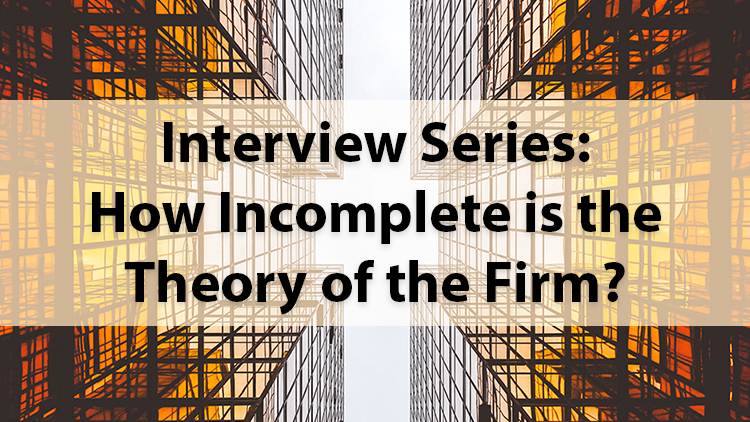 In a brief interview with ProMarket ahead of the upcoming conference on the theory of the firm, in which he will be taking part, Carpenter shared some thoughts on the role of corporations and government interference in the market. I think it’s an immense omission. For one, we can’t even talk about the historical origins of many firms without talking about corporate charters, limited liability arrangements, zoning, public contracts and grants, and so on. To view these processes as legal and not political is a significant mistake. I’m currently writing a lot on the history of petitioning in Europe and North America, and in areas ranging from railroads, to technology-heavy industries, to extractive industries, to banking, firms (or their investors) had to bring a case before the legislature, or an agency of government, or both. They usually used petitions to do so. Beyond the past and into the present, there are a range of firm activities that we can’t understand without looking at politics. Industrial organization considers regulator-firm interactions, but does not theorize the fact that now most firms have regulatory affairs and compliance offices, or the fact that firms hire not just lobbyists but lawyers to do a lot of political work for them. And in the future, the profitability and survival prospects of many firms in the coming years will depend heavily, in a polarized environment, on the political skills of managers. 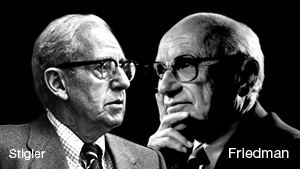 The theory of the firm was developed in an era (1950s – 2000) when globalism was the rule. What might it look like if Trump and Brexit are the new norm? That’s a tricky one. I think a lot of populist discontent has to do with forces beyond the political control of firms—technological displacement, mass migration and immigration, tensions in the Middle East and their diffusion to other areas of the world (including terrorism). But Joseph Stiglitz has made the persuasive point that for most of the twentieth century trade agreements focused on reducing tariffs and direct trade barriers, whereas in the past 20 years or so they have become increasingly focused on end-running national governments and their constituencies through tools such as investor-state dispute resolutions. That point needs to be studied, but it’s an interesting hypothesis. It is clear that many citizens view the webs linking governments and corporations as corrupt. Is the World Economic Forum relevant anymore? I ask that seriously. I think the important ideas for reforming capitalism are going to come from outside of Davos, and they will include answers to questions such as (1) How do societies deal with the changing nature of work (and the fact that so much of existing patterns of human labor will be done by machines)? (2) How will capitalism adapt to slowing population growth (which is simply going to happen no matter what nations do to incentivize childbirth)? (3) How can capitalism prevent the concentration of decision-making power into the hands of global elites, or if you will, Davos itself? I don’t see those as binary opposites but as complements. If regulation is constitutive of marketplaces (fraud standards, disclosure and labeling requirements, evidentiary requirements), then companies’ ability to subvert market rules will in fact interfere in the proper functioning of a market economy. I think we’re likely to see both Trumpian interference and company subversion, in other words. That said, I am concerned about Trump’s interference in markets, for example his bullying of companies and the idea of imposing border taxes. In the U.S. and elsewhere, we are going to see the need for legislative and judicial constraints upon this kind of executive action.